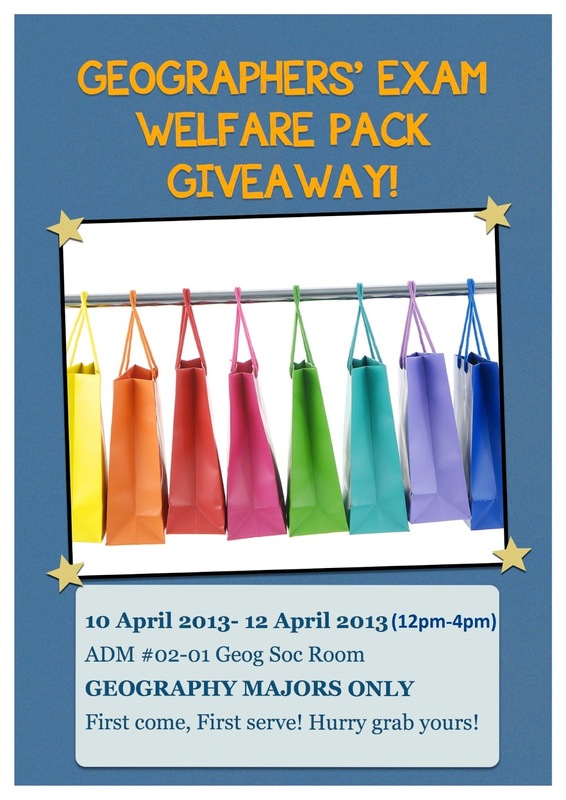 NUS Geog Soc: Geographers' Exam Welfare Pack Giveaway! Geographers' Exam Welfare Pack Giveaway! Geog. Soc is giving out the Geographers' Exam Welfare Pack! Date and Time: 10 April (Wed) to 12 April (Fri), 12pm to 4pm. PS: It will be on a first come first serve basis and do come to collect yours!